The graph Merriman–Bence–Osher scheme produces, starting from an initial node subset, a sequence of node sets obtained by iteratively applying graph diffusion and thresholding to the characteristic (or indicator) function of the node subsets. One result in  gives sufficient conditions on the diffusion time to ensure that the set membership of a given node changes in one iteration of the scheme. In particular, these conditions only depend on local information at the node (information about neighbors and neighbors of neighbors of the node in question). In this paper we show that there does not exist any graph which satisfies these conditions. To make up for this negative result, this paper also presents positive results regarding the Merriman–Bence–Osher dynamics on star graphs and regular trees. In particular, we present sufficient (and in some cases necessary) results for the set membership of a given node to change in one iteration. M. Cucuringu, A. Pizzoferrato, and Y. van Gennip, it An MBO scheme for clustering and semi-supervised clustering of signed networks, in preparation; preprint arXiv:1901.03091. B. Keetch and Y. van Gennip, A Max-Cut approximation using a graph based MBO scheme, to appear; preprint arXiv:1711.02419. 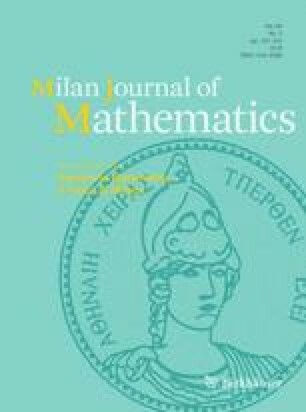 Y. van Gennip, An MBO scheme for Minimizing the Graph Ohta–Kawasaki Functional, Journal of Nonlinear Science (2018); https://doi.org/10.1007/s00332-018-9468-8.